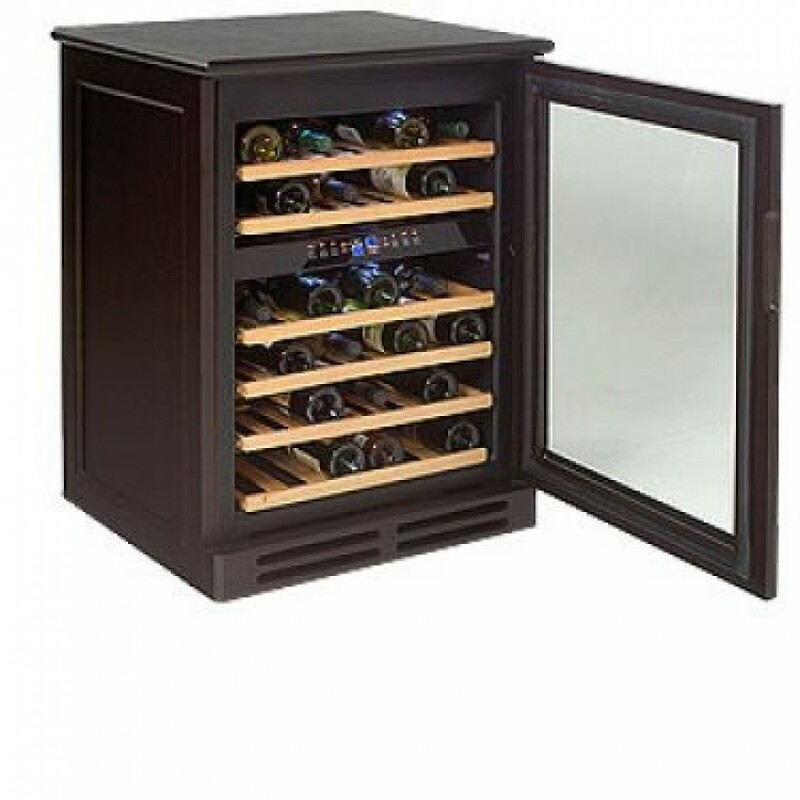 Finished wood cabinets add elegance and sophistication to these beautiful freestanding wine refrigerators and blend in perfectly with your fine wood furniture. 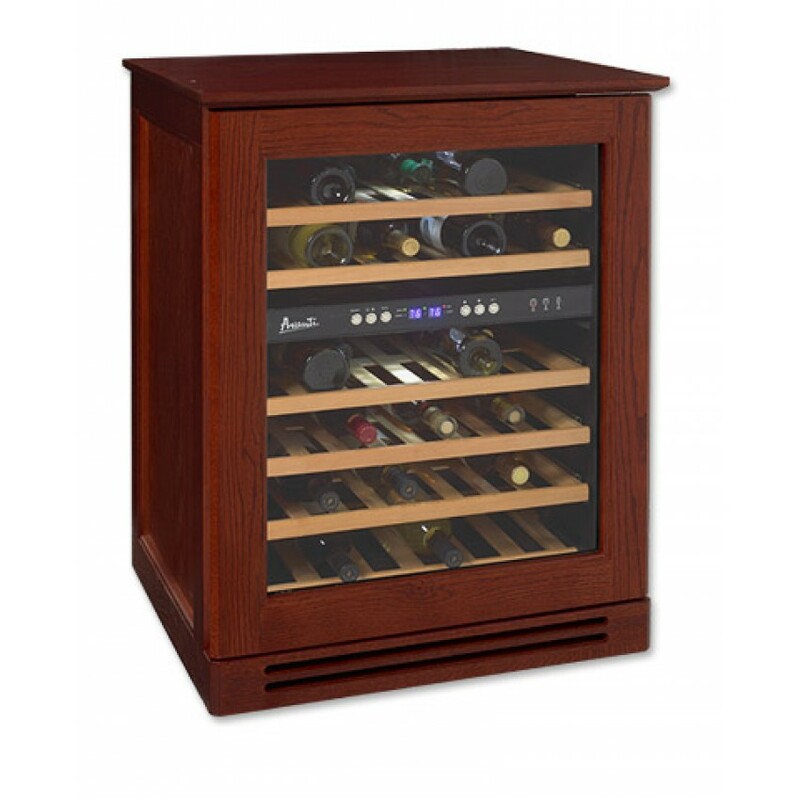 Perfect for storing wines just before serving, these units feature compressor-based cooling or thermoelectric systems. 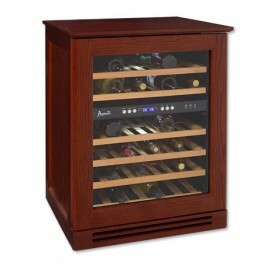 These Avanti Dual Zone Wine Cooler offers red and white wine storage in a sophisticated wood exterior cabinet with an attractive mahogany finish. 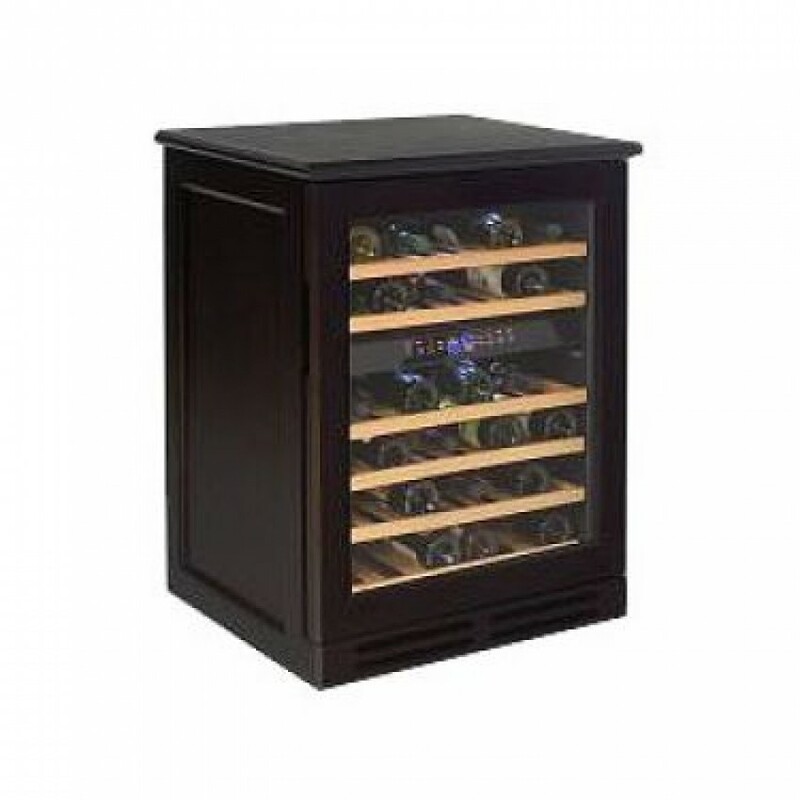 This handsome wine refrigerator stores up to 46 bottles, with 16 in the upper compartment and 30 in the lower, and features a digital control panel with a dual function LED display to monitor the temperature in each compartment. Bottles rest horizontally on wooden wine racks that come in a natural finish to match the exterior. The racks slide out on rollers, extending up to 80% to make loading and unloading effortless. To enhance the display of your wine collection, the wine refrigerator also features soft LED interior display lighting in each zone and a tinted glass door with wooden accents. Other features include automatic defrost and a built-in fan that circulates air to constantly maintain the temperature in each zone.